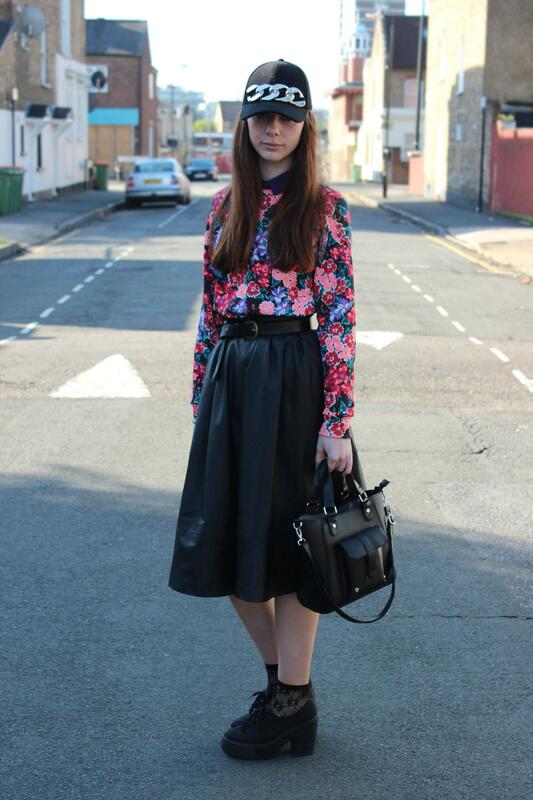 So here I am wearing my beauts leather look skirt from H&M, I found it last year for £7 in a size to big for me, which is why it hasn't made many appearances on my blog. I paired it with a jumper and a belt to keep it from falling down and I rather like it so am hoping to invest in a few more belts so I can keep styling this for A/W. Plus the length and shape allows me to hide some more layers beneath for the cooler weather. Sadly I wore this on Sunday when it poured it down most of the day so I didn't actually get to venture out in this outfit really. The hat and bag are two new editions to my wardrobe, the hat was a birthday gift (birthday haul soon to come!) and then the bag was from Primark. I purchased the bag for my new camera, I was majorly spoiled and was given a Canon 600D, not sure if you can tell with the quality of the images. 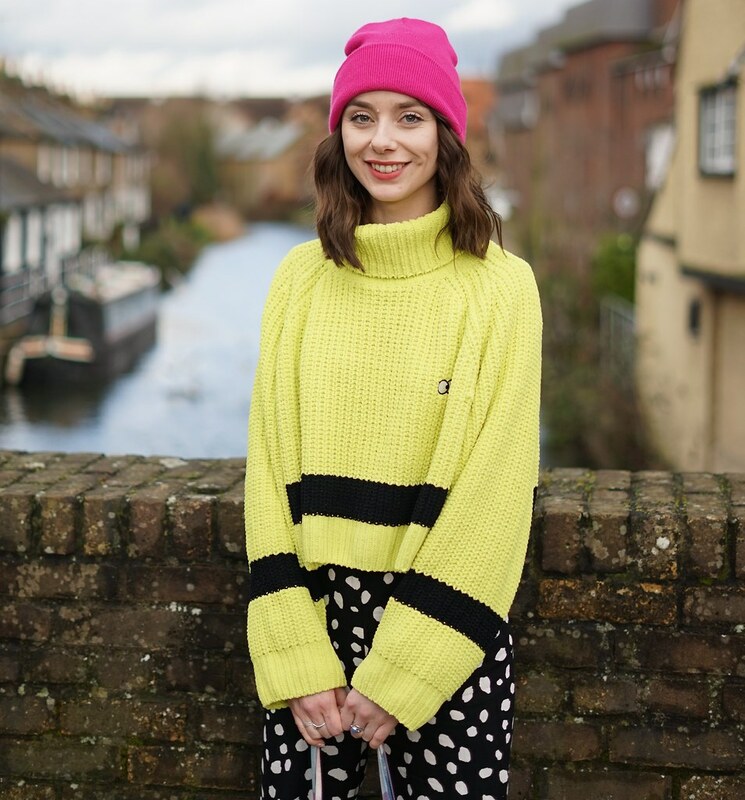 I hope you have all had a fab weekend at LFW if you went, send me your links to any street style features you've done as I love noseying at other peoples style! I'm loving both H&M items how gorge! 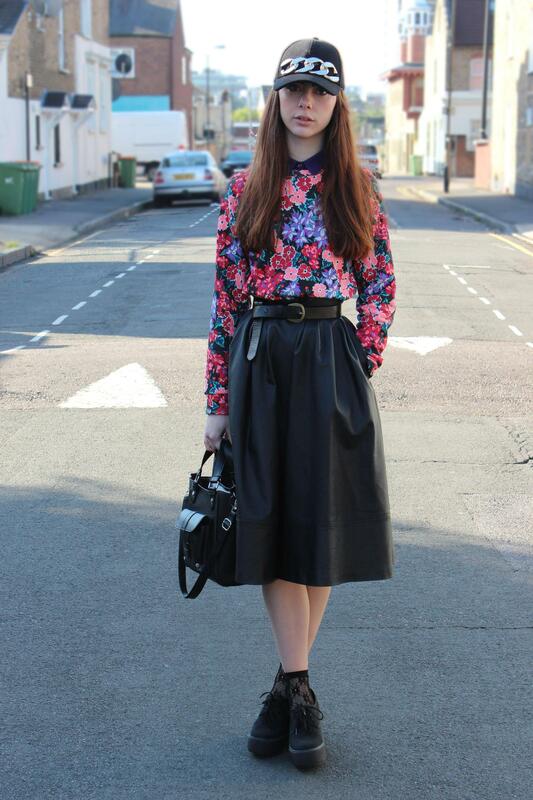 Love the skirt and that bag! 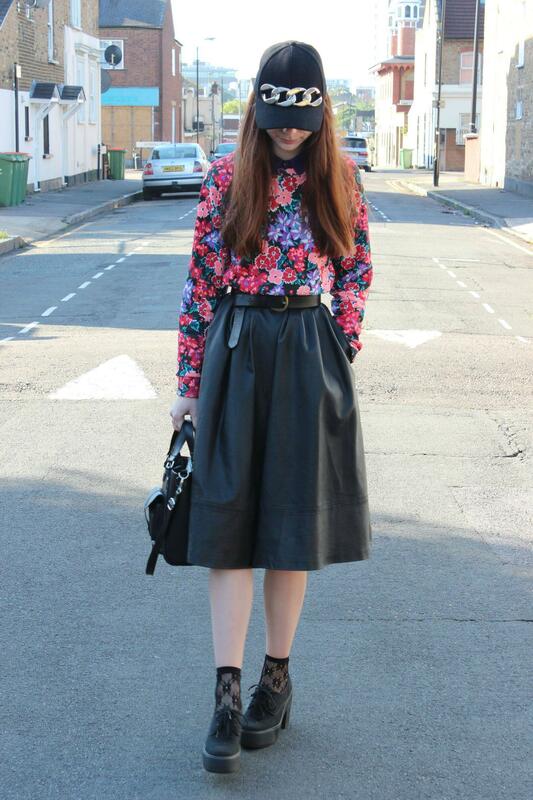 This outfit is amazing, you look awesome! I love that bag, Primark have some beaut stufff in at the moment! WOW. You look so incredible, especially in that dress. 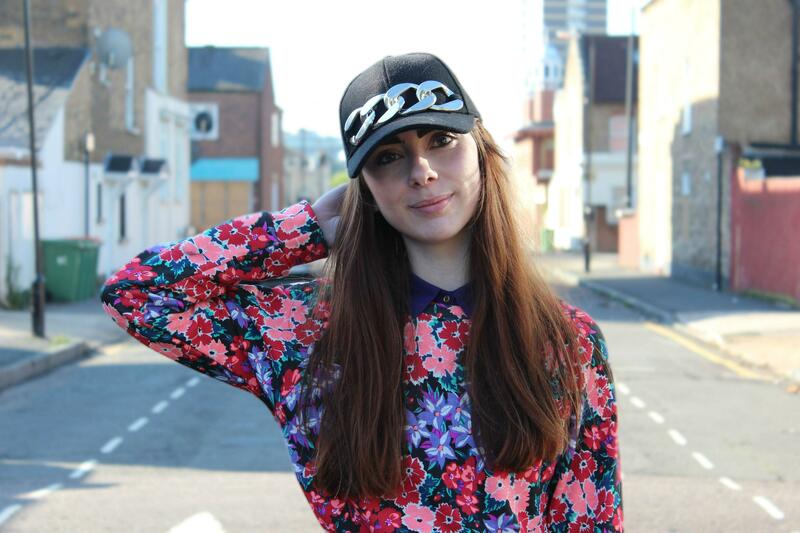 I also love how you wear all high street stuff and some of the stuff is from Primark - amaazing! Love the shirt and bag! gorgeous outfit! 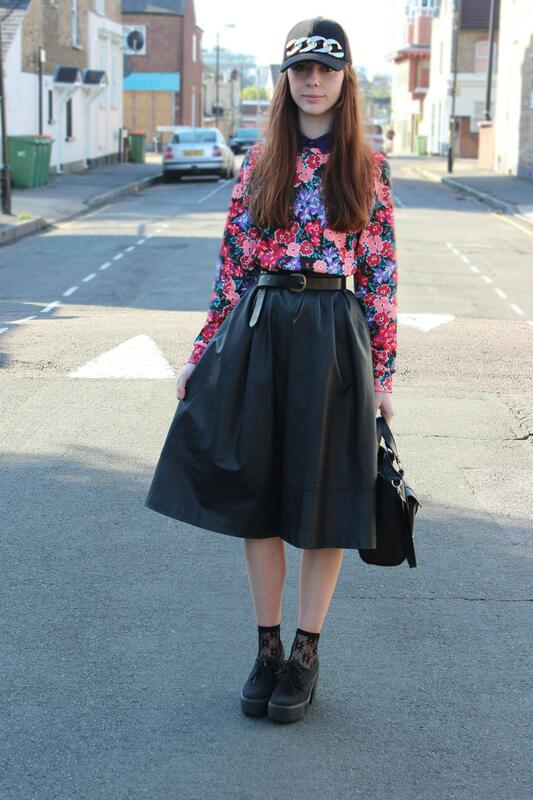 Love love love that skirt, you look amazinggggg!